Our annual June recitals incorporate sets, themes, lighting, staging, beautiful costuming, and clever music and choreography. We are lucky enough to have many talented parent volunteers in our ranks and they amaze us each and every year. These shows are fully staged with professional quality sound editing, lighting, and sets. Performances usually run 2 to 2-1/2 hours with an intermission. Our concessions include pizza, candy, soda, water, pretzels, etc. East South Lyon High School auditorium located on Ten Mile Road in South Lyon. Sunday, May 5, 2019, 11:00 a.m. - 1:00 p.m.
Additional advance-purchase tickets are available at the studio on Ticket Day (May 5), through June 1, for $13 each, or for $16 each at the door. (Tickets are non-refundable after June 1, 2019). Daddy-Daughter Signup is now through Monday, April 15, 2019. Email or call the office at 248-380-1666. Sunday, May 19, 2019; Group Pictures June 10-13. COSTUME INFORMATION sheets will be emailed to current students. They confirm tights color, hair, accessories, and other important costume preparation information. Please take a moment to review your dancer's requirements. All tights and shoes are available for purchase at the studio. TIP: Complete alterations by Picture Day. If something needs to be changed, you will have adequate time before C.R.A.T.S. and Dress Rehearsal. 2014 "Broadway, Here I Come!" See Showcase Newsletter (at left) for dates, schedules and more information. Join our Daddy-Daughter Dance! Check the newsletter for April signup deadline. Picture Day is held in May. See calendar for date. See Showcase Newsletter for group and individual picture appointments. Costume Rehearsals at the Studio (C.R.A.T.S.) is held in June. See calendar for date. See Showcase Newsletter for schedules. Voluneers Needed for Dress Rehearsals & Recitals! Please visit or call the office for more info or to sign up. Ad space is available in our programs. Consider placing a display ad for your business or to honor your dancer! See Showcase Newsletter for info or contact the office for details. Attention: Mom, Dad, Aunt, Uncle, Brother, Sister, Grandma, Grandpa and Friends: Congratulate Your Star Performer! 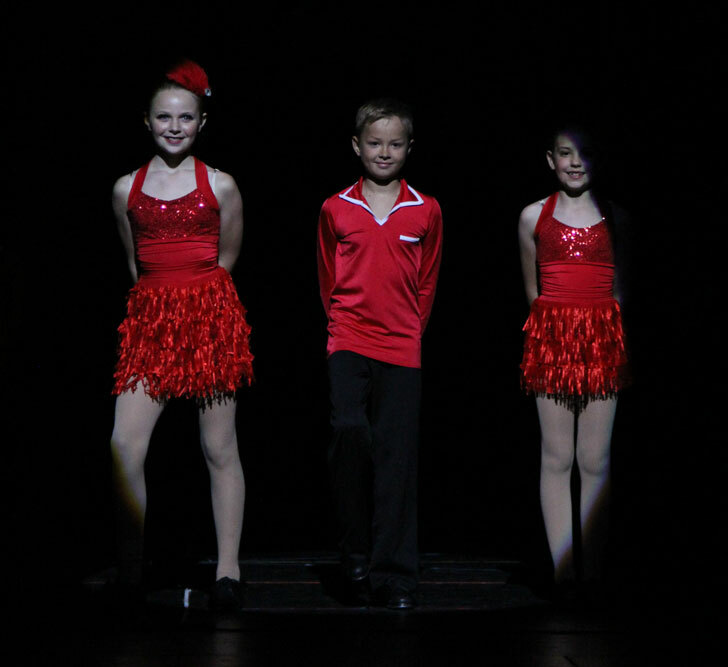 Send your dancer a STAR Message to show your support and help support our Showcases. STARs with your personal message will be delivered to your dancer in time for them to wear during the Finale of their Showcase. Star Messages are just $1 each and will be available for purchase during C.R.A.T.S., Dress Rehearsals, before the Showcases and at Intermission.